Top-line data from the latest Fáilte Ireland Tourism Barometer, a survey of tourism businesses around the country, shows that overall industry confidence – while still up – has begun to soften. According to Fáilte Ireland, industry sentiment is positive overall regarding this year’s performance. However, a sense of caution is emerging, with almost a third of accommodation providers maintaining the status quo in 2017 and 15% expressing negative sentiment. Observing the trend, confidence is at its lowest levels in four years, the organisation said. When tourism enterprises are surveyed about performance across markets, Fáilte Ireland said Northern Ireland and Britain clearly stand out as areas of concern. 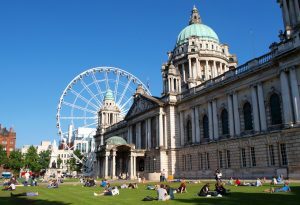 Half of the paid serviced accommodation providers surveyed are reporting British business down and two in five have experienced a drop in Northern Irish tourists. The proportion of those businesses impacted rises in northern counties – Cavan, Donegal, Leitrim, Longford, Louth, Mayo, Monaghan and Sligo – which are most exposed to those markets. 44% and 38% respectively for the rest of the county). The organisation said the impact of Brexit nationally has been compensated by other markets with 62% of businesses reporting America up as well as strong performances from the German and Domestic markets. “This top-line data reflects a tale of two Brexit impacts – with Dublin continuing to thrive but with business confidence weakening as you move further west. Clearly, observing the responses to the survey, those tourism businesses are keenly exposed to a weakening of the British and Northern Irish markets,” emphasised Fáilte Ireland CEO Paul Kelly. Fáilte Ireland surveyed a representative sample of over 500 tourism businesses across a wide variety of types (accommodation, attractions, restaurants, etc) and throughout the country. Fáilte Ireland said the full comprehensive Tourism Barometer will be published in the coming weeks.